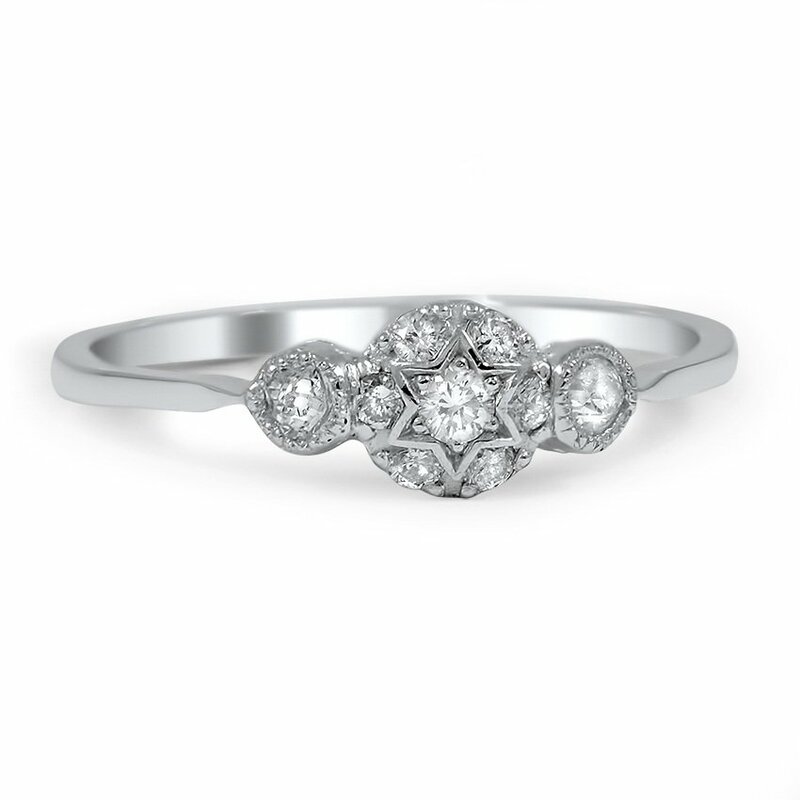 A star-shaped setting boasts a scintillating round brilliant diamond in this Victorian-era ring. Eight additional diamond accents sparkle alongside the center diamond and rest atop a petite, tapered shank for a mesmerizing look (approx. 0.17 total carat weight).